Two seasons ago, the Ottawa Senators finished off the latter half of their season in impressive fashion. They went on what was known as “The Miracle Run,” where backup goaltender Andrew “The Hamburglar” Hammond went on a serious hot streak and helped the team win 21 of their last 27 games of the season. After a bumpy start, management had fired former head coach Paul MacLean. The duties were handed over to his at-the-time assistant coach Dave Cameron, who then led the team to a final record of 43-26-13. That was just enough to get them into the playoffs, but, six games later, they were outed by one of their division rivals, the Montreal Canadiens. Being eliminated from the playoffs after such a strong finish to their season left the Sens with no momentum, which translated into a disappointing 2015-16 season. The team just couldn’t get it going. Their successes were lopsided, with 230 goals for (ninth in the league) and 241 goals against (26th). Their special teams struggled badly, scoring on only 15.8% of their power play opportunities (26th) and killing off only 75.8% of their own penalties (29th). The numbers speak for themselves, folks. There’s no doubt that the Senators were known to be an offensive threat. 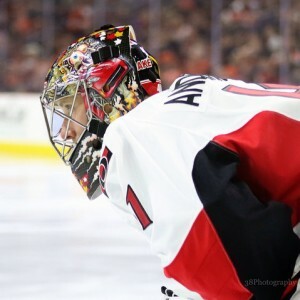 Comparatively, they were also known to be inconsistent, undisciplined and weak on the back-end, as they were unable to hold a lead and strongly depended on goaltenders Craig Anderson and Andrew Hammond. There were some bright spots, though, as team captain Erik Karlsson finished the season with a Norris trophy nomination and 82 points in 82 games. That was enough to have him tied for fourth in league scoring, right behind Sidney Crosby. For a defenceman, that’s almost unheard of. In fact, no defenceman has finished top five in league scoring since Bobby Orr did it in 1973-74. Then, we have recently-signed left-winger Mike Hoffman, who proved that his previous 25-goal campaign wasn’t a fluke, as he finished last season with 27 goals and 30 assists. Some analysts have had concerns with what Hoffman’s intentions might be, considering he had filed for arbitration for both of his most recent contracts. Also, there were rumblings that he had clashed with Cameron. That said, it’s hard to believe that there is any truth to those rumours since he’s elected to sign with the team through 2019-20. 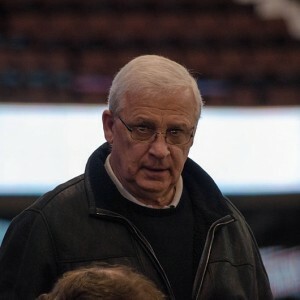 At the end of the 2015-16 season, Bryan Murray, as he had previously indicated he would do, stepped down from his role as general manager and handed over the reins to former assistant general manager Pierre Dorion. In 2014, Murray was diagnosed with colon cancer, which is surely one of the factors that pressured him into making such a significant change in his career. Family, he said, was also a major reason. Being a die-hard hockey person, fan, and workaholic, Murray will still be a part of the Senators as a senior hockey adviser. He has been with the team since 2004, both as a head coach and as a general manager. Dorion has worked hard to move his way up the ladder in the Sens organization. Before being promoted to assistant general manager in 2014, he served as the director of player personnel and as the chief amateur scout. Nevertheless, it’s safe to assume that Dorion will be leaning on his former boss, as Murray has plenty of knowledge and experience to share, considering he’s coached over 1,200 NHL games throughout his 34 consecutive seasons in the league. The Sens fired Dave Cameron at the end of the season. After interviewing numerous candidates, the team hired Guy Boucher as the new head coach and Marc Crawford as an associate coach. Both were coaching in the Swiss elite league in the previous few years. Boucher is the seventh head coach that Ottawa has had since the 2006-07 season when they had reached the Stanley Cup Finals. This year, making the playoffs will be a difficult task, but with a balanced roster and a brand new coaching staff by his side, it’s definitely possible. On July 18 of this year, the Ottawa Senators traded Mika Zibanejad and a 2018 second-round pick to the New York Rangers for Derick Brassard and a 2018 seventh-round pick. On paper, the Swedish winger put up decent numbers as a Senator, with 20 goals in 2014-15 and 21 in 2015-16. Unfortunately, over the span of an 82-game season, his overall play on a game-to-game basis lacked effort and consistency. Brassard, 28, is a reliable left-handed centreman who is known to be a performer when tensions are high. He scored 27 goals and 58 points last season. After missing every game in the 2015-16 season, Chris Phillips, 38, was forced to retire due to back problems. He was drafted first overall by the Sens in the 1996 draft and ended up playing his entire 17-year NHL career with them. He holds the franchise record for most games played with 1,179, only one game ahead of former captain Daniel Alfredsson. Although his speed did start to decline with age, Phillips was still an efficient stay-at-home defenceman in his final years with the team. But, there is no doubt that his leadership is what will be missed the most. Phillips is still hanging around, though, as he has taken on a new role with the Sens in community relations and business development. As training camps are underway, Dorion is still looking to add depth to the defensive core as he continues to consider the pool of remaining free agents for professional tryouts. He even admitted that he’s considering kicking off the season with as many as seven or eight defencemen on the roster. So far, they’ve signed 28-year-old defenceman Matt Bartkowski to a professional tryout. #Sens sign UFA D Matt Bartkowski to a PTO. Appeared in 80 games with #Canucks last seaaon. Tallied 18 pts. “We just don’t want to bring any bad characters or bad people into the room,” said Dorion, showing that he’s confident in his current roster. Armed with a new contract and two 25-goal seasons, Hoffman is looking to hit the 30-goal mark this year. He’ll likely start off the year on the Sens first line alongside Turris and Stone, but don’t be surprised if Boucher tries him out with Brassard, who is known to be a playmaking centreman. 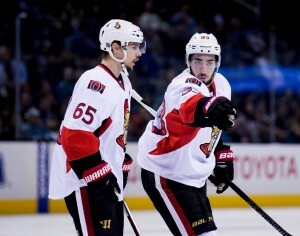 In his three seasons with the Senators, Ryan has played 229 games and has scored 63 goals for a total of 158 points. Much like his former linemate Mika Zibanejad, his stats look acceptable on paper, but on a game-to-game basis, his play can vary from excellent to horrible without any noticeable patterns. Ryan is a player with strong emotions and his personal life has been a tough one in the recent past and distant past. When it comes to the top two defence pairings, the team’s current situation is stabler than it has been in years. With the world’s best offensive defenceman leading the way, no one doubts the speed and talent levels that are found on the Sens’ blue line. What’s been questionable for the team is their ability – or lack thereof – to limit their giveaways, defend leads and possess the puck. The team is hoping that Methot and Phaneuf can help solve those issues. As for the bottom pairing, Wideman needs to continue proving himself as an NHL player. He earned himself a two-year, one-way contract last year, but now it’s time to keep it up and take the next step forward. Prospects like Frederik Claesson, Thomas Chabot, Andreas Englund and a few others are working hard to take his spot. Borowiecki will probably start the season with the team, but he may see limited minutes. The Sens are surely looking for an upgrade in their bottom pairing. The Senators captain is off to play for Team Sweden at the World Cup of Hockey, as management and fans stand back with their fingers crossed. The main goal here is for Karlsson to gain some experience and stay healthy. Then, he just needs to focus on doing the same thing that he did last year. Ceci has proven himself as an NHL player, now he needs to solidify his role as a top-four defenceman. During this past off-season, he signed a two-year contract worth $5.6 million. That bridge deal has “we like what we see, now show us more” written all over it. “I’ve found my game, having Phaneuf back there allows me to get up in the play and just feel more involved that way,” said Ceci in an interview with the Ottawa Citizen’s Wayne Scanlan. The pressure is on for Dion, as the team looks to lean on him for his leadership and for his presence on and off the ice. He needs to play a strong defensive game while maintaining the edge that he is known for. He is looked up to in the locker room, by his teammates, but more specifically, by his defence partner Cody Ceci. In their limited time together last year, they looked to be a functional second pairing. Ceci is still learning and Phaneuf, a veteran with 10 years and 821 games of NHL experience, has lots to teach. The team will need them to mesh and continue to grow as a pairing this season. Craig Anderson, once again, will be the starter for the Senators this year, with Hammond as his backup. If Anderson can stay healthy, he has the potential to help the team make the playoffs. In the past, he’s been relied upon heavily, but at 35 years of age, his workload should be managed more conservatively. It’s time for this roster to find a coaching staff and system that works for them, offensively and defensively. Last season, Anderson played 60 games and sported a 2.78 GAA and a .916 save percentage. Hammond played 24 games and carried a 2.65 goals against average and a .914 save percentage. Meanwhile, in Binghamton, the Sens management are hoping that prospect goaltender Matt O’Connor can put together a strong year. Expectations are high for the Boston University graduate, as he’s built himself an excellent reputation based on the success he saw in his college career. 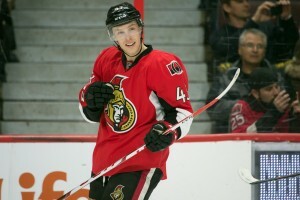 He played well in the Sens’ rookie tournament, but unfortunately suffered a minor leg injury and was unable to finish. Chris Driedger, another prospect goaltender in line for the team, stepped in and played exceptionally. He may not be at the top of the depth chart in Binghamton, but he certainly gained some respect and improved his future outlook. As Anderson approaches what is considered to be “old age” for goalies in the NHL, the Sens are looking to see who’s next in line for that number one spot in nets. All eyes are on the former Ice Terrier, Matt O’Connor. Since joining the team, Bobby Ryan has had his ups and downs. He hasn’t necessarily lived up to expectations, although he has strung together some nice points streaks. He needs to start putting the puck in the net and he needs to do it on a consistent basis. In his time with the Anaheim Ducks, Ryan scored over 30 goals in each of his four full seasons. Although fans and management understand that this task is much easier accomplished with linemates like Corey Perry and Ryan Getzlaf, they are still searching and hoping for more of Bobby’s offensive flare. Dorion's 3 players to watch. Brassard, Stone, & Ryan. Nothing could give the franchise a bigger push than Ryan returning to 30 goal form. Matt Puempel is another player that is due to breakout, but he also has a lot to prove. 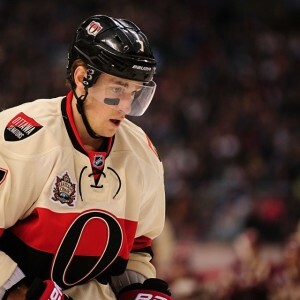 Recent comments from Dorion indicate that if he doesn’t play some NHL-caliber hockey, he’ll be sent down to Binghamton, the Senators’ AHL affiliate. Even if that means he has to go through waivers. Puempel was drafted 24th overall by the Senators in the 2011 NHL Entry Draft. In his first full season in the AHL, he scored 30 goals but hasn’t seen nearly as much success since then. He’s got 39 NHL games under his belt but has only managed four goals and six points. It’s understandable that Dorion wants to see progress now, or it might be too late. The pressure is on for the new guy, Derick Brassard, who was acquired in a trade with the Rangers that involved Zibanejad and a couple of picks. He was drafted sixth overall by the Columbus Blue Jackets in the 2006 NHL Entry Draft. Expectations are high for the Gatineau, Quebec native, as he looks to compete with Turris for the top line role. His skillset includes a great hockey sense and strong passing abilities. Many hope that he can help the team by helping Ryan, who is looking to spark his fading ability to score goals. Brassard has expressed his excitement to play for a team located just five minutes from his hometown. Although he is not labelled as a goal scorer, he did finish last season with 27 goals and 58 points. Should the Senators make it to the post-season, Brassard has also built himself a reputation as a playoff performer. He has 18 goals and 44 points in his 59 playoff games with New York. It’s expected that the Sens’ fourth line will have Paul, Kelly, and Neil on it, but those are also the three spots that are up for grabs if one of the prospects can play their way into the lineup. The Binghamton Senators are composed of a good group of veterans, hard workers and talented youngsters that are all in the mix for an NHL spot. Up front, Ryan Dzingel is looking to work his way back into the lineup. As a successful AHL player, he was invited to play at the NHL level and did so for 30 games with the team last year. He demonstrated exceptional speed but lacked in other areas. Puempel, as mentioned earlier in the article, will also give it his all this year as he has struggled at the NHL level so far. Among the other possibilities is Tom Pyatt, who signed a one-year, two-way deal with the Sens during the off-season. Formerly of the Montreal Canadiens and the Tampa Bay Lightning, Pyatt has been refining his skills in the Swiss elite league for the past two years. The signing likely has to do with opinions from the new coaching staff, as both Boucher and Crawford coached in the same league before coming back to the NHL. On the blue line, the Sens have a number of options to work into the bottom pairing in Frederik Claesson, Andreas Englund, Thomas Chabot and Michael Kostka. For the past three years, Englund has played professional men’s hockey in Sweden. During this past weekend’s rookie camp, his progress was noticeable, to say the least. Chabot also impressed the coaches, but considering the fact that the Sens drafted him so high at 18th overall in last year’s draft, it is likely that the talented defenceman will spend more time at the junior level as he continues to work on gaining size and experience. It’s time for the Sens to take the next step forward – no more mediocrity. They have a new general manager, a new coaching staff, a new system, good offensive depth, a capable goaltender, and most importantly, a world-class defenceman in Erik Karlsson. If all goes well, barring any major injuries, the Sens are projected to squeeze into the playoffs. If that doesn’t happen, it’s time for them to start taking a serious look at the organization from the top-down. It’s the only major option for change that they haven’t yet considered. Lastly, the Sens need their prospects to put together a successful season in the AHL, so that they can serve as a useful support system. If the Binghamton Senators do well, it’s likely that their roster will be littered with individual successes, too. Those will help in covering injured or under-performing players that may end up struggling at the NHL level.